Vegan start-up company Plant Power is on a mission to make tempeh mainstream in the UK and Europe as it launches its first range of products in Sainsbury’s. Tofu is a staple in vegan kitchens as it’s brilliant for absorbing flavours and adding texture to dishes, and now it’s time to tofu’s cooler younger brother – tempeh! Originating from Indonesia, tempeh is made by fermenting whole beans – traditionally soya – with a live culture so it has a higher protein content and also a meatier texture. It’s packed with whole food goodness, heaps of fibre and healthy gut bacteria. 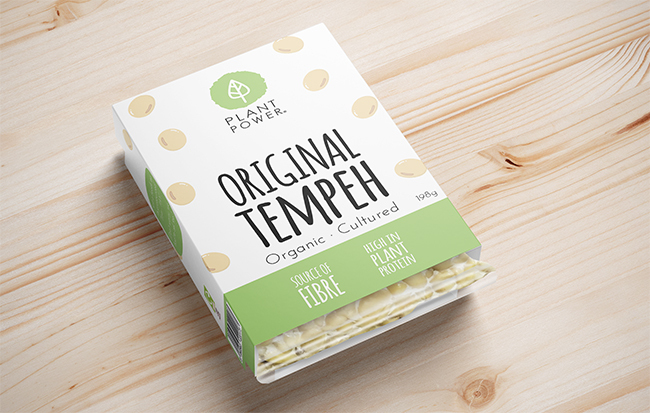 Until now it’s been more difficult to find tempeh products on the high-street as in the UK it typically only sold online and in health food stores, but vegan start-up company Plant Power is on a mission to make tempeh mainstream in the UK and Europe. 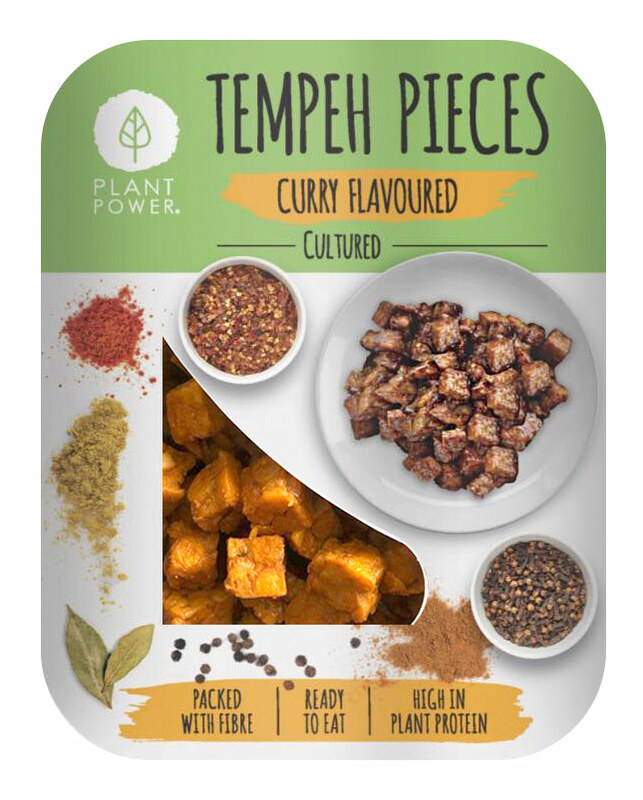 Plant Power is the first brand in the UK to offer tempeh into the mainstream retail market with the launch of Original Block and Curry Pieces into the chilled aisle in Sainsbury’s supermarkets. The products in the range are fresh, GMO-free and made with love and are launching with an introductory offer of £2.50 and a usual RRP of £3.00.